It’s finally chilly enough to start wearing scarves here in Texas…at least in the mornings that is. By midday it’s like 80+ but that’s besides the point and I am just going to keep pretending that we actually have seasons here in Texas. 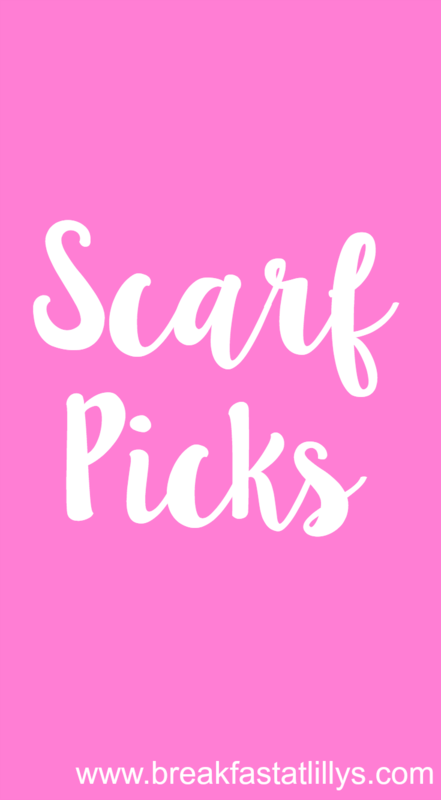 Today I thought I’d share some of my favorite fall scarf picks of the season. Warning: this post may contain a lot of plaid and blanket scarves…so be prepared. I am obsessed with scarves and tend to wear them a lot during the fall and winter time to add a little extra something to my otherwise kind of boring work outfit. I am a big fan of plaid as you can tell from the collage shown above. Plaid matches well with most solids and even stripes so it’s a pretty versatile scarf to have in your collection. I also love a good blanket scarf. Blanket scarves are so cozy and versatile and I need more of them in my life. Also, can we talk about the cute navy deer scarf I have listed? I absolutely need this in my life for the winter time. It is the epitome of winter in my opinion. Leopard is also a neutral in my wardrobe and I tend to wear it most during the cooler months. Also I had to add that cute pink Kate Spade bow scarf because who doesn’t need a little more pink in their wardrobe? I know I surely could use a little more pink in my closet. Are you a scarf fanatic like me? Let me know your favorite fall scarf picks down in the comments.